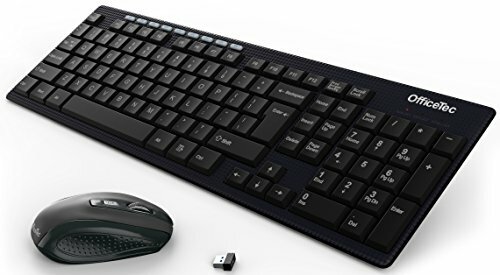 OfficeTec 2.4GHz Wireless Keyboard And Mouse Combo (KB101) by OfficeTec at Pacs BG. Hurry! Limited time offer. Offer valid only while supplies last. 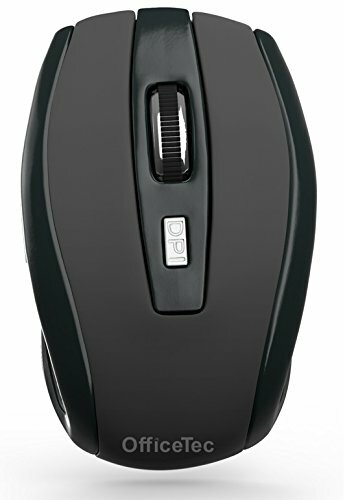 Improved and reliable 2.4 GHz wireless connection: Single tiny USB nano-receiver (packaged inside mouse battery compartment) connects both the full-size keyboard and mouse with one USB port. 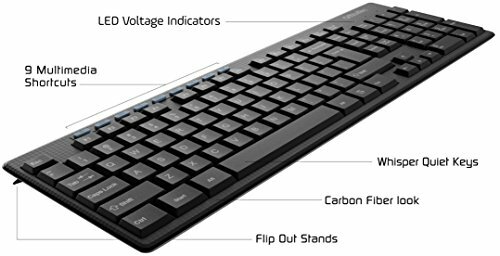 Long battery life: Get up to 18 months of keyboard and mouse power on a single set of 4 AAA batteries sold separately (Keyboard and mouse battery life may vary based on user and computing conditions). LED Indicators alert for low battery. Nine hot keys + Twelve F1-F12 keys: Instantly access your movies, music, internet, e-mail, volume, play/pause and more. 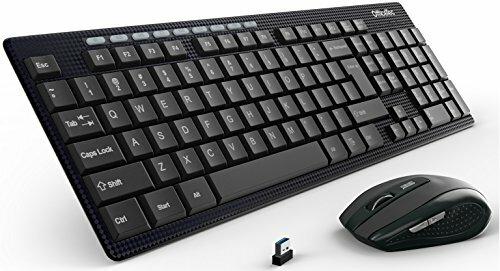 Ideal for productive work and PC gaming. 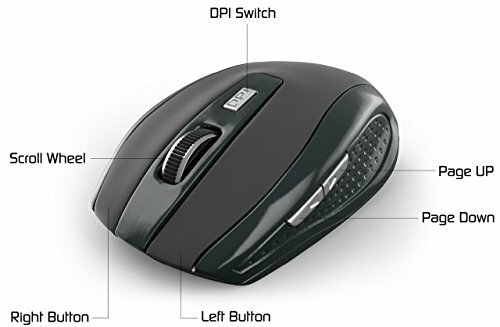 Includes an attractive faux carbon fiber keyboard with full number pad, low-profile whisper quiet keys and an ergonomic 5-button optical mouse with 800/1000/1200 DPI switch (to adjust mouse cursor sensitivity).